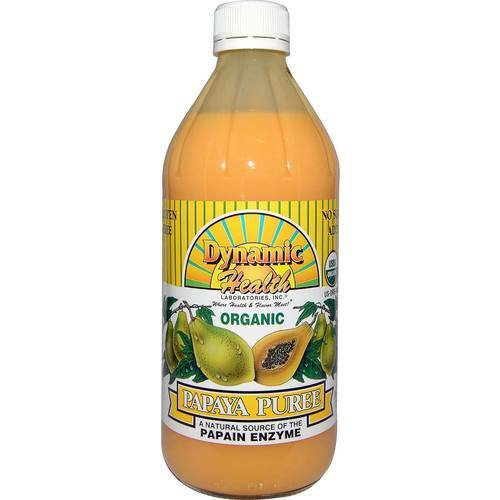 Papaya Puree by Dynamic Health Laboratories has a wide range or uses from smoothies to ice cream toppings and adding it to your favorite pastry recipes. This product is gluten free and contains no added sugar. Advertências: Keep out of reach of children. To maintain freshness refrigerate after opening. Shake well before using. Notas: Contains no fat, sugar, cholesterol or preservatives. Natural source of the papain enzyme. Refrigerate after opening. 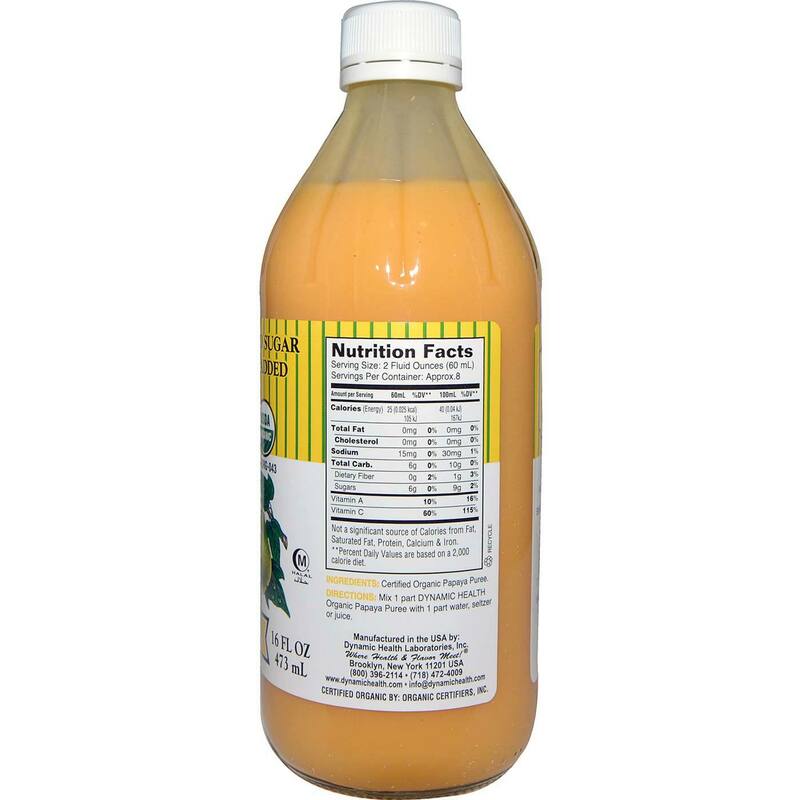 Recomendações de uso: Mix 1 part Dynamic Health premium Papaya Puree with 1 part water, seltzer or juice. Ideal for tropical smoothies, fruit cocktails and as a mixer. A delicious, natural topping for yogurt, ice cream, fruit, pastry and other desserts.